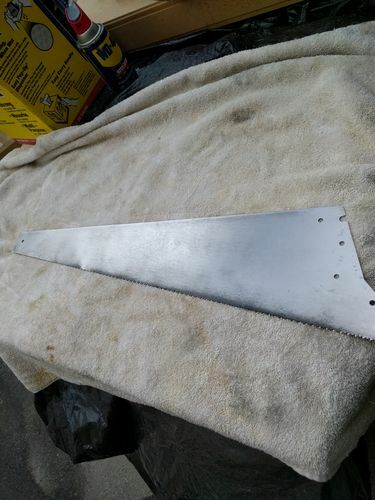 I can not tell the name brand of this saw I am working on. It does not have a disston name on it anywhere. Maybe a Vermont American or something. 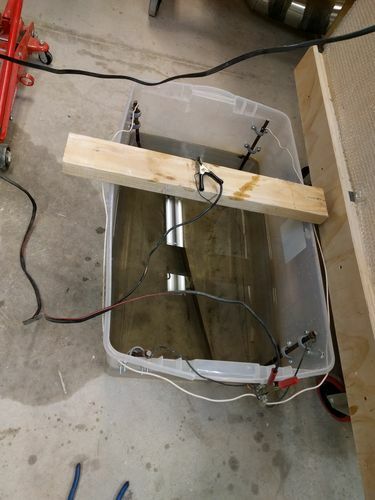 But here is before & after pix of electrolysis and ROS with WD40. In the middle of my saw vice but had to call it quits for the day. 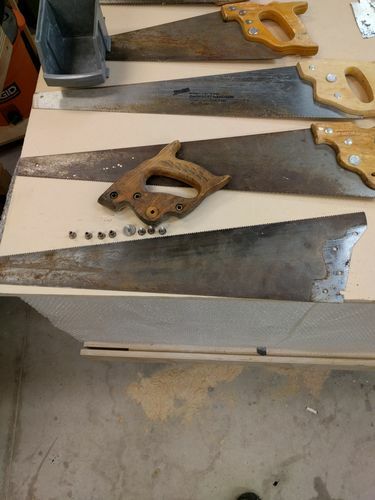 Should finish the saw vice tomorrow.